Archbishop Charles Palmer-Buckle of Cape Coast in Ghana has said that the Church in Africa has a lot to thank God for, notwithstanding challenges and negative perceptions. The Archbishop is an executive member of SECAM. 29 July is SECAM Day. SECAM stands for the Symposium of Episcopal Conferences of Africa and Madagascar. 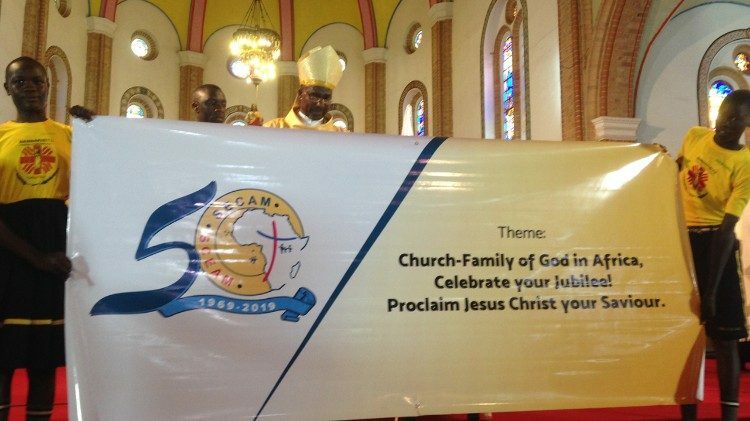 This week, SECAM launched in Kampala, Uganda, the yearlong golden celebrations for SECAM. On this day in 1969, Pope John VI inaugurated SECAM in Kampala, Uganda. Fifty years on, Archbishop Palmer-Buckle told Catholic Radio Sapientia in Kampala, this week, that the Church in Africa has much to celebrate and thank God for. “We have to have a memory of the progress made so far. Unfortunately, when people talk of Africa, they only tell us about disease, wars, challenges and the rest. Let me tell you: In the last fifty years, the Catholic Church in Africa has grown from 55 million people to 175 million people. The Church had, at the Second Vatican Council, 30 to 40, 50 dioceses. 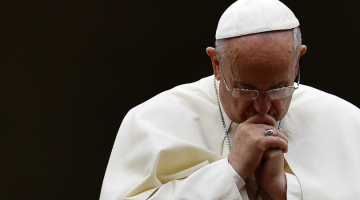 Now we have 450 dioceses in Africa, we have over 600 Bishops,” the Archbishop said. Archbishop Palmer-Buckle believes that the yearlong celebrations will give the word, ‘celebration’ its qualitative meaning and value. He insists that ‘celebration’ is about rendering time to God, remembering what he has done for SECAM in the last 50 years, taking stock of mistakes, repenting, reconciling and then recommitting to Christ. Over 20 Bishop-representatives from the various regional conference of Africa were in Kampala for the inauguration, which will culminate in a big liturgical event to be held sometime in July 2019. The Bishop-representatives met, in Kampala, under the theme: “Church-Family of God in Africa, Celebrate your Jubilee! Proclaim Jesus Christ your Saviour.” Uganda, the land of the martyrs, was acknowledged, by Archbishop Palmer-Buckle as the heartbeat of the Catholic faith, in Africa. The Symposium of Episcopal Conferences of Africa and Madagascar (SECAM) was born out of the will of young African Bishops during the Second Vatican Council (1962-1965). The Bishops wanted to build a continental pastoral structure to bring forth the African vision to the whole Church. Seeing the importance of such an association for Africa, the Congregation for the Evangelisation of the Peoples invited the Presidents of the Regional Episcopal Conferences for consultation in 1968. 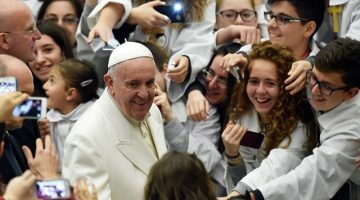 A year later, the first-ever visit of a Pope to Africa was seen as very opportune to launch the Symposium of Episcopal Conferences of Africa and Madagascar.